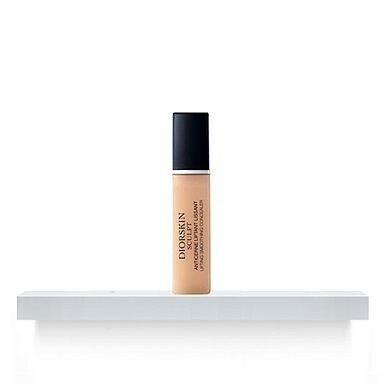 Dior Diorskin Sculpt Smoothing Lifting Concealer. Presenting Dior`s unique line-diminishing, lifting concealer: Upon application, the features are smoothed, leaving the area around the eyes visibly refreshed and rejuvenated. With daily use, telltale signs of fatigue diminish and the complexion becomes radiant and even. This concealer covers really well but i felt it looked a little dry on my skin and didnt really smooth out my fine lines that much. Great Concealer But A Big Price! Very effective but a little too expensive for me! Choice of 3 shades. Light texture and easy to apply and blend. Practical and sanitary 'doe foot' applicator. Lightens and brightens eye area. Does not settle into lines or pores. Hydrating on the eye area. "This concealer covers really well but i felt it looked a little dry on my skin and didnt really smooth out my fine lines that..."